Manfrotto has announced new additions to the Pro Light Reloader range – the Tough H-55 and Tough L-55. 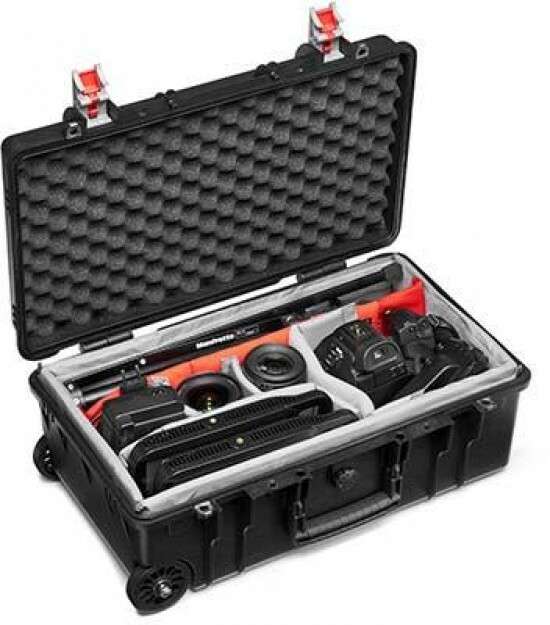 Designed for professional travelling photographers and videographers, the Reloader Tough 55 cases offer unparelled protection of photographic gear thanks to the Manfrotto Protection System – allowing peace of mind when traveling on assignments. The Pro Light Reloader Tough H-55 high-hood complies with international airline restrictions regarding carry-on luggage dimensions (55 x 35 x 22.5cm). RRP £289.95. The Pro Light Reloader Tough L-55 low hood meets the most stringent airline restrictions regarding carry-on luggage dimensions (55 x 35 x 20cm). RRP £269.95.